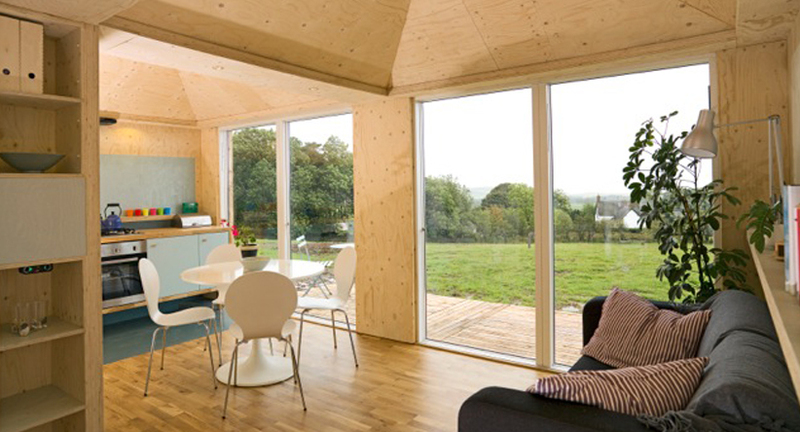 When designer Sam Booth developed his sustainable timber Echo Modules, utilising environmentally friendly materials was high on his agenda. Sam ensured that every product used was specified for maximum sustainability; from sheep’s wool or wood fibre insulation to VOC free, breathable Earthborn paints. 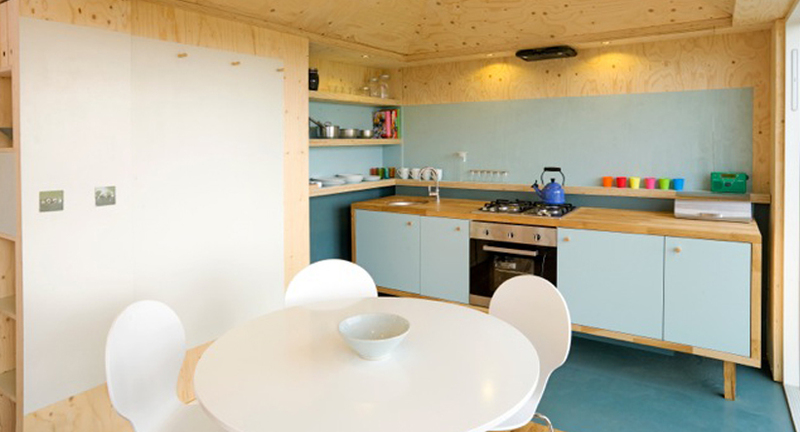 Sam’s prototype modular building first featured on George Clarke’s Channel 4 series, Amazing Spaces, and can require little or no planning permission making them ideal for use as holiday homes, annexes and garden offices. As an exciting new concept in sustainable construction, the ceilings and sections of timber wall were left untreated, to weather naturally. In addition, Earthborn Wood Stain was used along with Claypaint and Ecopro Emulsion, which was chosen for high wear areas and to create feature panels. The Emulsion was selected for kitchen and bathroom areas due to enhanced wipeability. 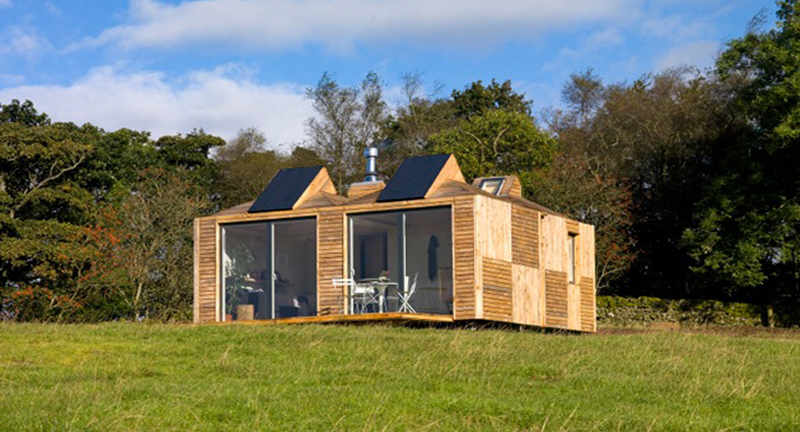 Sam said, “The buildings are designed around the principle of 9sq m timber modules that can be linked together to make larger spaces.” They have been used by farmers’ George and Julie Nicolson as an alternative to a caravan for their holiday home business, Brockloch Bothy, in Dumfries and Galloway. The success of this led to more orders and Sam now has a factory employing local people manufacturing the Echo Modules. We’re always on the lookout for interesting Case Studies so if you know of any exciting projects using Earthborn paints tell us about it! Our knowledgeable Earthborn stockists Old House Store and Celtic Sustainables helped supply this project.